I really miss doing patchwork if I don’t get to do any for even just a couple weeks. I started taking our new Machine Foundation Paper Piecing class on Saturday. We’re making an incredible wall quilt designed by Johanna. 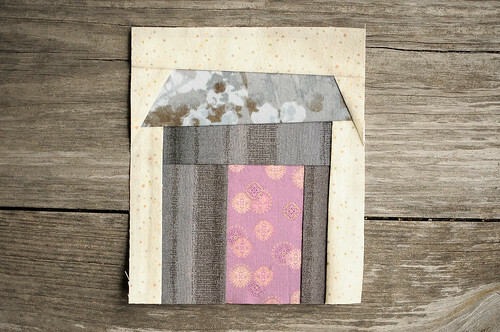 I have been wanting to learn paper piecing FOREVER. Sunday night, I tackled some of my homework for the class and completed the first row of houses, plus one tree. It felt great to get back into my Sunday routine, to make a mess with fabric bits everywhere and to sew until the wee hours of the morning. This technique is a ‘game changer’. It totally unlocks a whole new world of patchwork and I’m so excited by it. 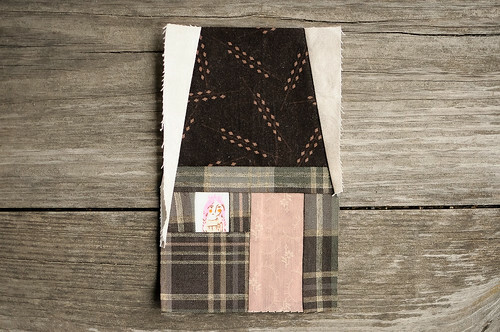 Not only can you show off your fussy cutting, but you can showcase awesome scraps of fabric with these intricate designs. 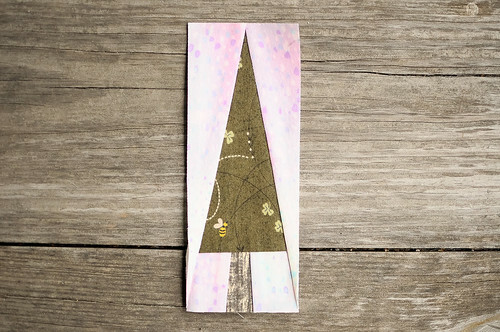 If you want to see some incredible paper piecing possibilities, check out this, this, this and this! I can’t even believe the awesome-ness people come up with sometimes. These are great! I especially love the princess peeking out of the window in the first one. 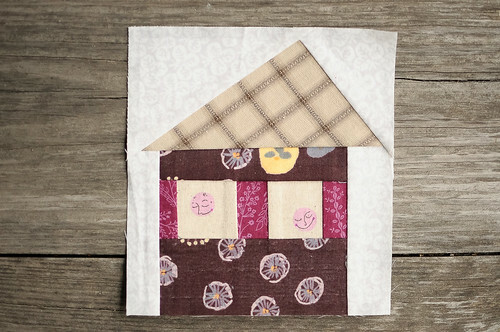 I really need to try my hand at paper piecing. I need to learn to quilt. And then I need to make that crane star. I had put quilting behind me but this makes me want to jump right back in! I’ve always wanted to learn this too! I hope this class will be offered again, as soon I’ll be just a Go train away..
do you offer the pattern for sale to those of us who live far, far away? I love the quilt blocks! These are so cute, and beautiful, and perfect! I’m excited to see your finished quilt.